Food courts are seemingly rising around the metro and finally, there’s one in Makati. 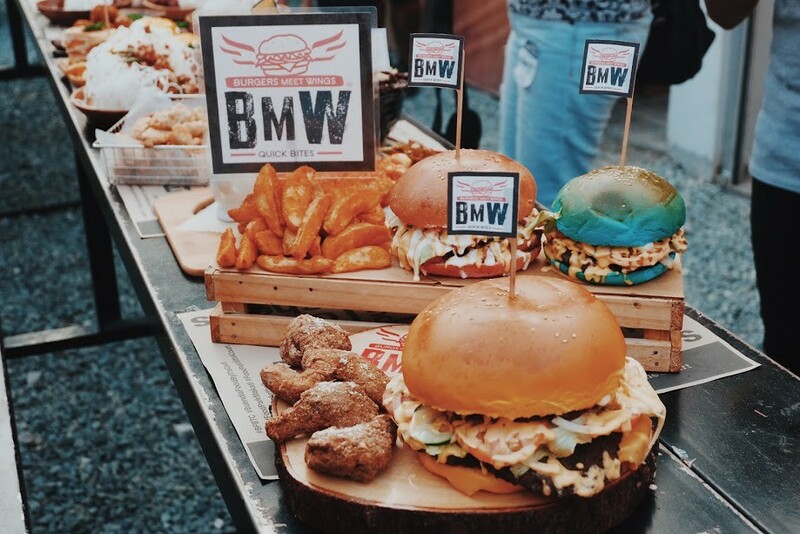 Buendia Food by the Court is an extensive food park with their own court. 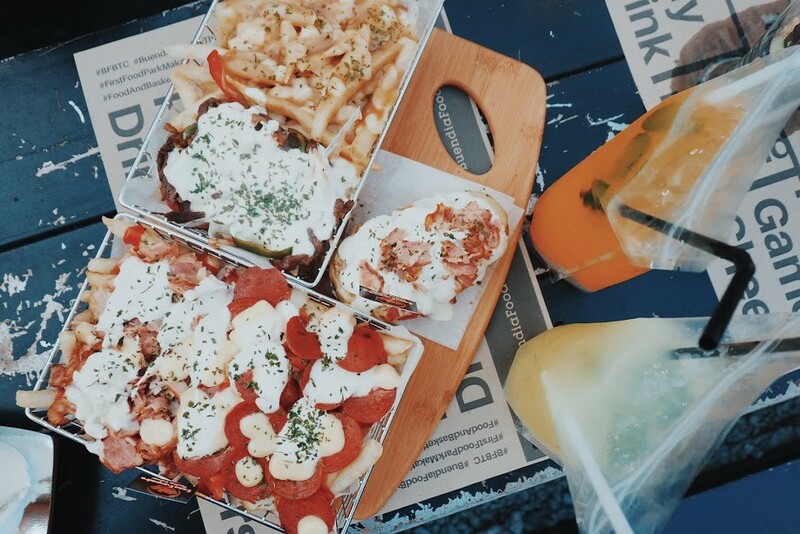 With over 20 stalls, they cater a variety of quick eats that will surely satisfy your palate.It’s that hip food park that’s Instagram worthy! 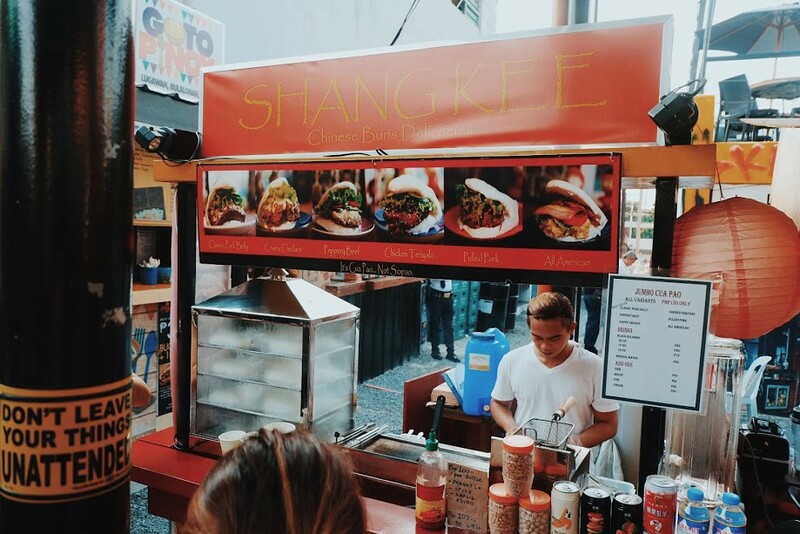 Here’s a list of the food stalls that you must try when you drop by. 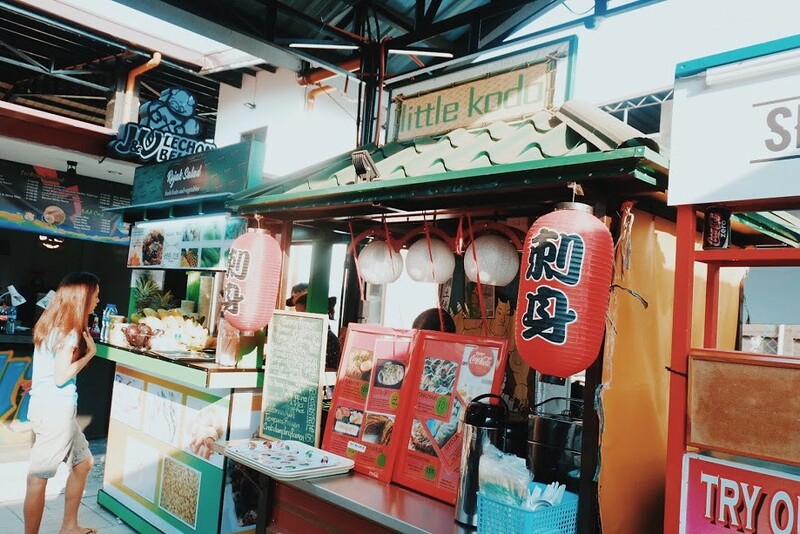 Little Kodo will delight your taste buds with some Japanese favorites like Takoyaki, Gyoza, Okonomiyaki, and Ramen! 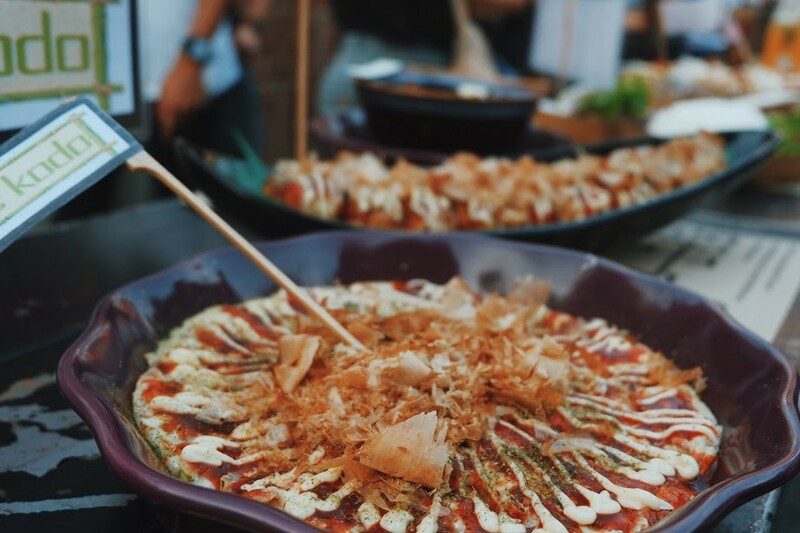 The dishes that they serve are made to perfection as the husband and wife tandem behind this Japanese food stall, worked as a chef in a Japanese restaurant for over 30 years. Every bite and slurp will surely satisfy your Japanese food cravings! No, it’s not Siopao… it’s Cua Pao! Shang Kee Chinese Buns offers a revival of the classic Cua Pao. 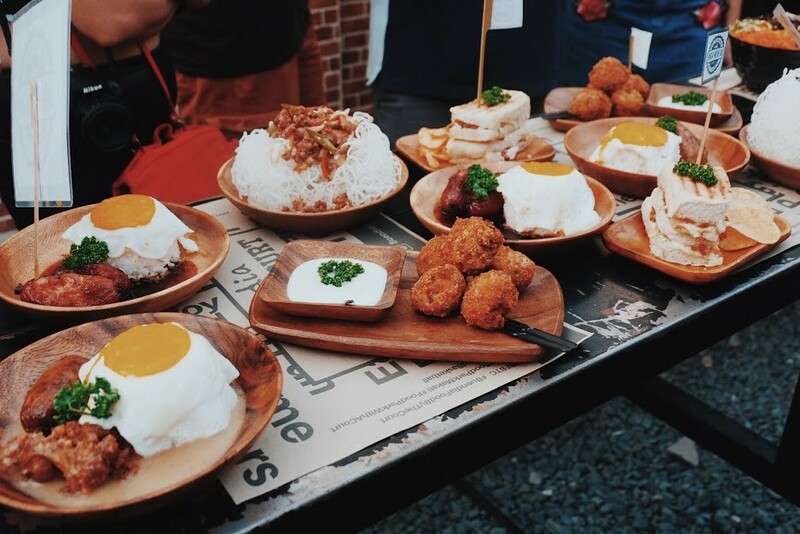 Owner and chef Charlie Choco wanted to revolutionize it with a twist to keep up with the millennials and satisfy their palates. 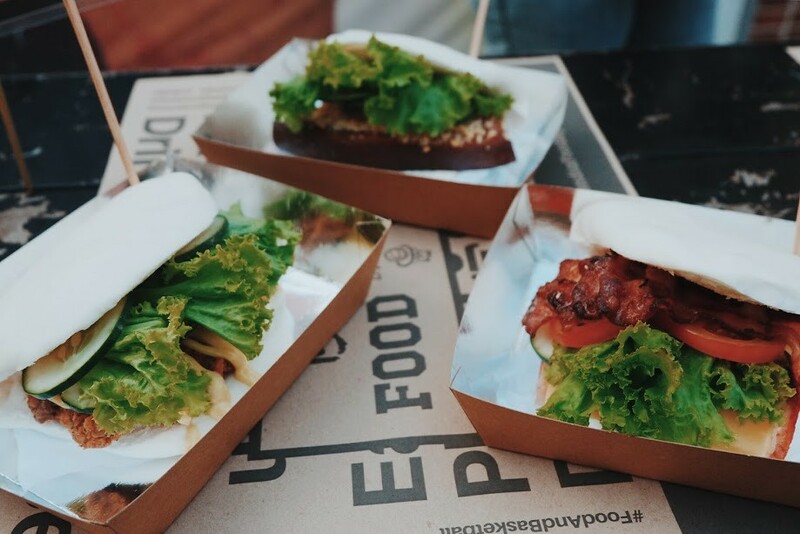 These buns have this authentic taste which will make you feel you’re on the streets of Shanghai! 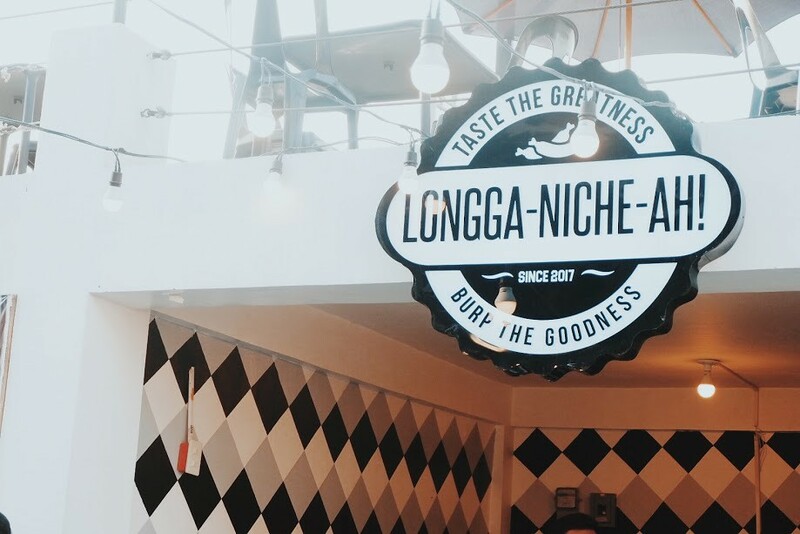 Longga-Niche-Ah is the brainchild of Ex-PBB Teens Housemate Joe Black and his lovely girlfriend Bianca Pauline. 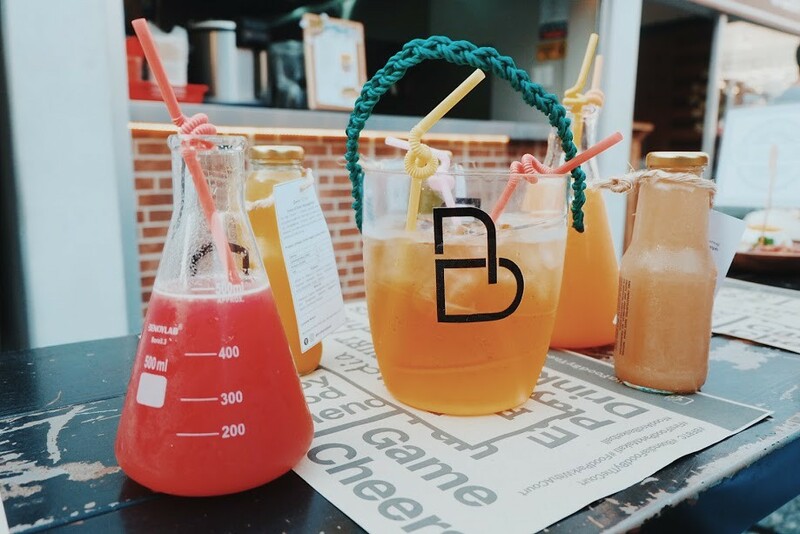 They offer Longganisa dishes with a twist like their Salisbury Longga, Teriyaki Longga and Crunchy Pancit Longga, and my favorite… the Cheesy Longga-Balls! These longganisa’s are hand made all the way from Cabanatuan so expect the juiciest logganisa served right on your table. 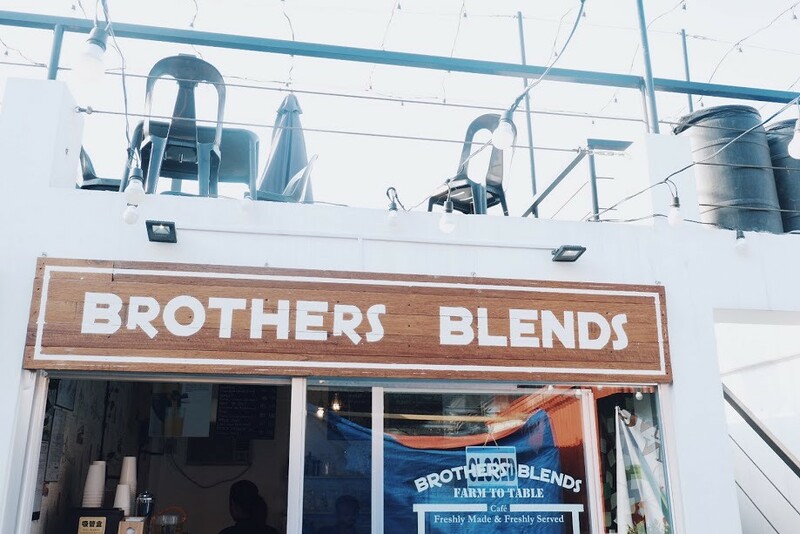 Brother’s Blends is a farm to table stall that offers a variety of mixed fruit and vegetable juices. The pressed juices are made by the process of cold-pressed and slow juice technique. They also serve tea, coffee, and frozen yogurt! Brothers Brian Factor and Kevin Factor came up with this concept to maintain a healthy eating habit within reach. Not only they want their customers to have a healthy lifestyle but also help the local farmers with the organically local produce. Ashitava Frozen Yoghurt, Sunrise Pressed Juice, and Black Oolong Tea. 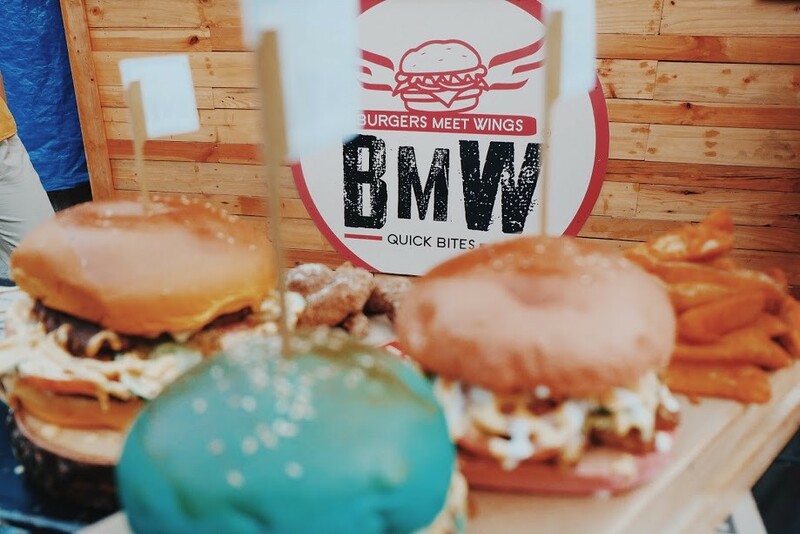 Burgers Meet Wings isn’t just the typical American food stall, they offer a delectable colored burger lineup. They use all-natural colorants to these playful buns! And of course, they have chicken wings in various sauces like Texas BBQ, Cheesy Cheese, Sweet and Chill, and Garlic Parmesan. Thirsty? They got colorful slush to serve you! Craving for some Korean dishes? 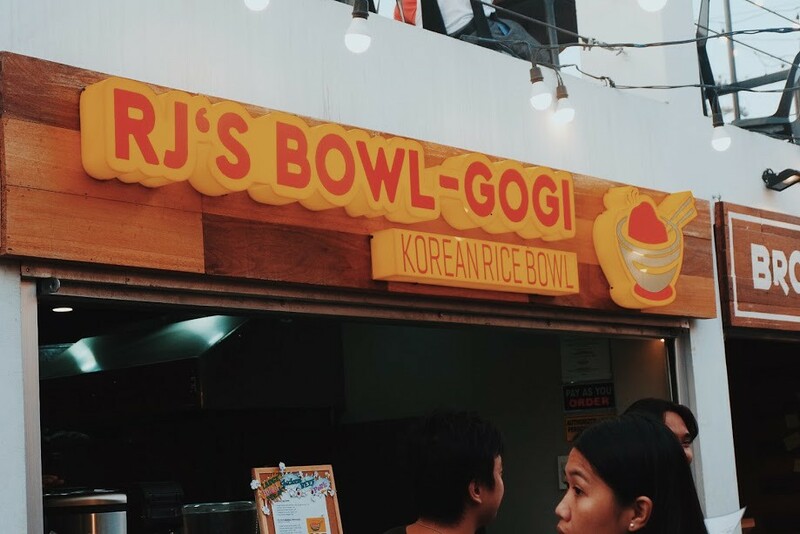 RJ’s Bowl-Gogi serves your favorite Beef Bulgogi. They also serve Large Fried Steak in Chicken, Pork, and Beef in Salt and Pepper, Sweet and Spicy, and Honey Glazed. 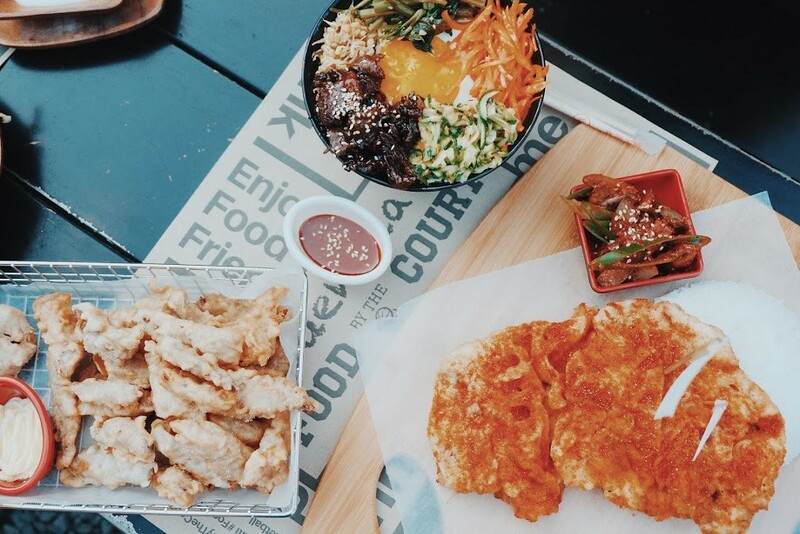 All served with your favorite Korean side dish. My favorite here is the Crispy Fried Shitake Mushrooms the goes well with the Japanese Mayo. I swear it’s sooo good! Up for something cheesy? 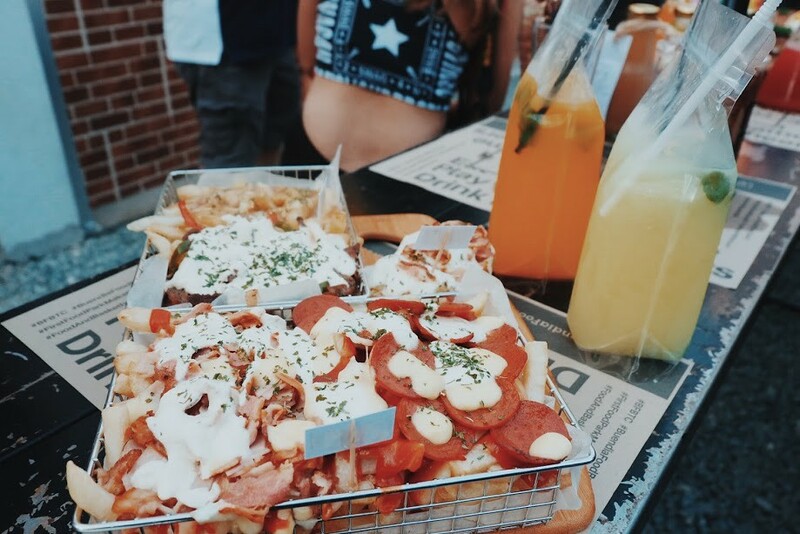 Keso Kumpadre offers Pizza Fries and Nacho Fries! This is the ultimate snack and best shared with your friends, or better not? Lol. I can finish these up by myself! They also serve citrus juices like the Minty Lemon, so refreshing! So if you’re looking for a place to dine and chill, or just wanna eat after school or work, head over to Buendia Food by the Court! It’s very accessible, you can take a bus, jeep, or even the MRT/LRT and stop by LRT Gil Puyat Station. If you’re dropping by, please do tag me in your post and comment your experience here! This is a co-sponsored post by Buendia Food by the Court. All thoughts and experience stated in this post are entirely my own.